We went to Kota Kinabalu, in Sabah, which is one of the Malaysian states on the island of Borneo. We mostly went there to go diving, unfortunately the camera was being problematic and we didn’t get any good underwater photos (a good excuse to go again). 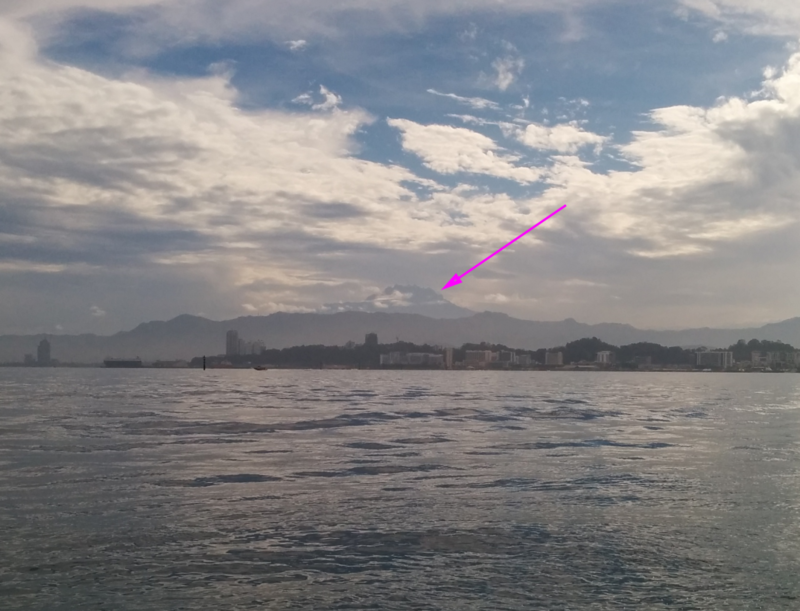 While we were there, though, we did get a look at Mount Kinabalu in the distance. 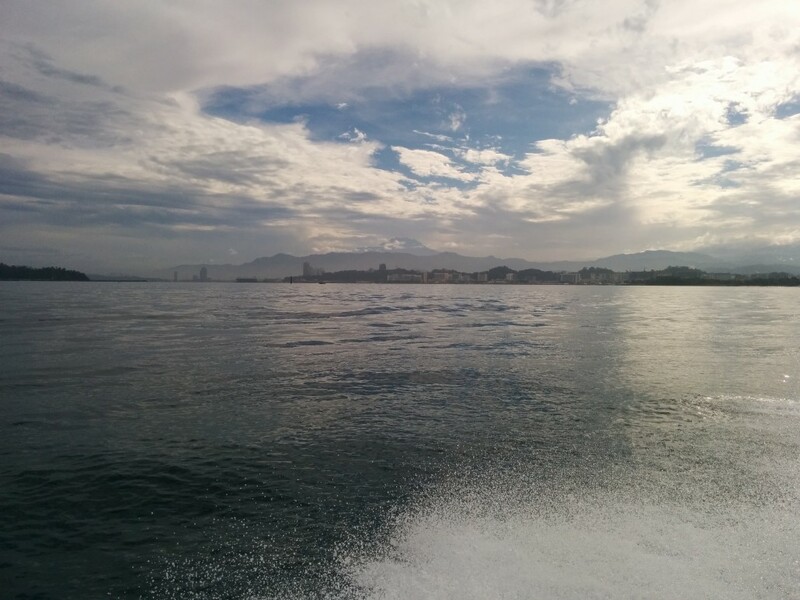 It was especially impressive on the boat ride out to the Gaya island when we could see it behind Kota Kinabalu city. It’s a pretty sneaky mountain though. It can be hard to spot, because the mountains in front of it draw your attention, and it’s far enough away that some clouds are likely to be in front of it. After a great day of diving, the next morning we checked out the Gaya Street Sunday Market. Imagine everything you’d think would be available for sale at a street market in Asia (all kinds of craft items, food items, fruits and vegetables, spices, meats, oils, skin products, health food and supplements of all levels of credibility, novelty items for tourists), then add: puppies and kittens, live birds (for pets AND for eating later), live reptiles, live fish (again, pets AND food), fruit trees including citrus and multiple varieties of durian, coin purses made out of frogs, and breast milk soap. There are no pictures of any of that, because even if I had tried to take one it would just be a photo of shoulder-to-shoulder people. And then we went to the Sabah Museum and enjoyed learning more about the history of the region (and checking out their huge whale skeleton). Again, no photos, but this time because the museum requests no photos be taken inside, which is a shame, because the whale skeleton was awesome.